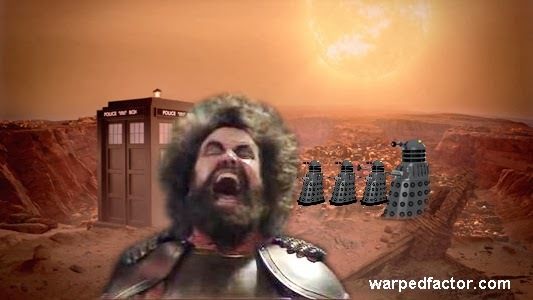 DOCTOR WHO: What If BRIAN BLESSED Was The Doctor? | Warped Factor - Words in the Key of Geek. 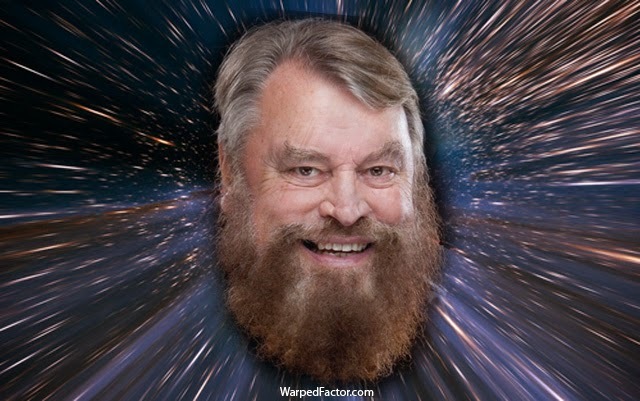 DOCTOR WHO: What If BRIAN BLESSED Was The Doctor? Last night I had the strangest dream. No, I'm not about to bust out the lyrics to Matthew Wilder's seminal 1983 hit Break My Stride (although it's here if you want a listen - and you know you want to!). My dream was a very vivid one, likely bought on by an article I recently wrote - it was about the time when Brian Blessed was the Doctor. Now I know this never happened, but as I awoke and reality started to filter in I felt kinda upset that he'd never had the chance to play the part. He was approached once, but it clashed with other work he was obligated to. Shame. 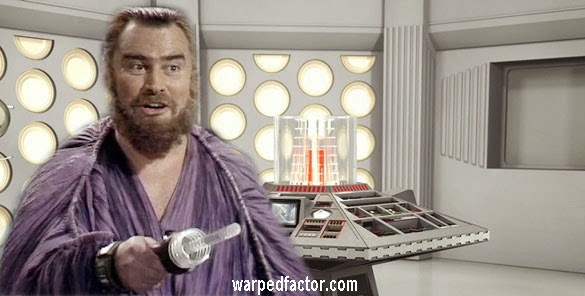 So just for a bit of fun, let's run with the idea - what if Brian Blessed had played the Doctor? Now it almost feels sacrilegious to discuss the possibility of anyone else but Tom Baker playing the part of the fourth Doctor - after all nobody could ever replace Tom, because (with the greatest respect to all the other actors who have played the role from 63-89) he is the face of the classic series - but mid 70s Blessed would seem like an appropriate time for his casting, so Fourth Doctor it is! And let's face facts, if anyone was to replace Tom Baker then it has to be someone with an incredibly large personality, and there are very few people around who rival Brian Blessed for that! But first we must travel back to June 8th 1974. "A tear, Sarah Jane? No, don't cry. While there's life, there's..."
And he comes complete with a Sonic Screwdriver as big as his voice! One of the greatest British actors who has ever graced our screens, an actor who frequently outshines all around him, a man with more presence than the combined cast of most productions he's ever appeared in. How could Brian Blessed not make a great Doctor? He's starred in everything from Star Wars to Shakespeare. He's been Richard IV, Henry V, Ceasar Augustus, Prince Voltan, King Yrcanos and one of those cats from Cats. The role of the Doctor would be a walk in the park for him, and just like Tom Baker I can picture him actually living the part too. Being the Doctor in every day life, his whole reality blurred with the show, and that's great. That's the kind of person I want to play the Doctor, someone who simply lives and breathes it. There's a chance that in 1977 this may have been a tad too much for Saturday tea-time television. Brian Blessed would've been the most bombastic of Doctor there ever was, and that's a good thing for 70s Who... I like that. There goes the Doctor, time traveling his way across the galaxy at high volume (fact - Brian Blessed was actually the scientific creation of the genetic splicing of human DNA and an early prototype THX sound system!). His Doctor would be a gentle giant, but one who is never afraid of a fight. ...Maybe he thought it was one of the Master's stranger disguises! POW - "TAKE THAT TREMAS!" Just picture him facing off against everyone's favourite pepper-pot shaped foes. (fact - it is internet law that if suggesting potential quotes for Brian Blessed then you must use Caps!). Simply put, Brian Blessed is a whole load of awesome wrapped up in one funky looking shell. Although I think he'd have made for a great Fourth Doctor, I think he could still play the part today. Peter Capaldi has proved that an older Doctor can still work well, and although Brian Blessed is 20 years older than Capaldi is he's still so full of life. A couple of years back he completed his astronaut training and will be going up into space soon! Seriously!! He'll be half way to the Doctor then, with only time travel to add to his resume... and I wouldn't put that past him. 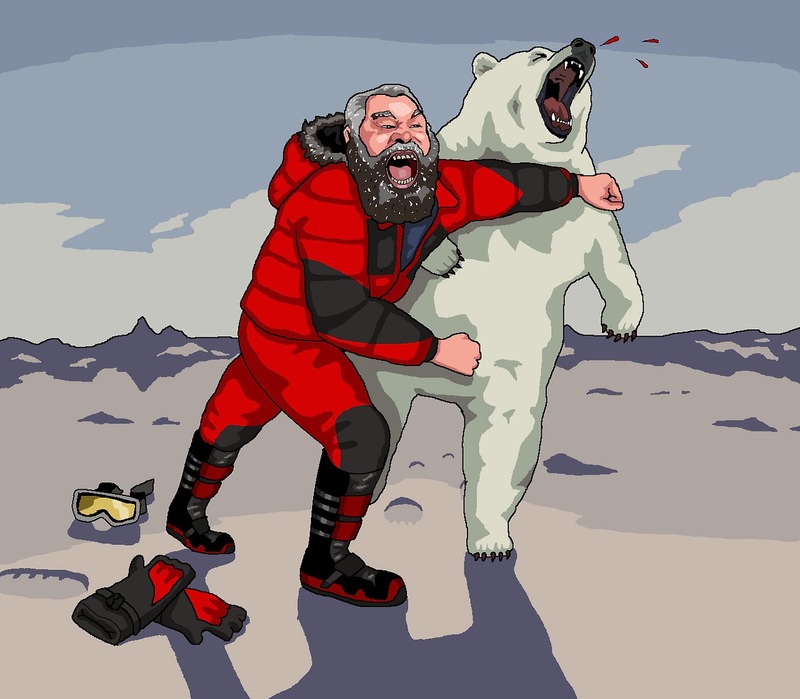 Brian Blessed has climbed Everest, he's walked to the North Pole, he's been to deepest darkest jungle and survived a plane crash, do you really think someone like Davros would be any problem for the likes of him? 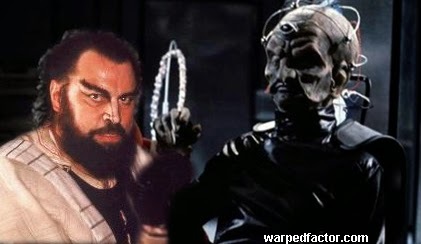 Of course, Brian Blessed appeared in Doctor Who in 1986 when he played King Yrcanos in The Trial Of A Timelord story, Mindwarp. At the time I had a bit of a thing for Peri, she was responsible for a fair few teenage kicks! Clearly I was going to have beef with any man who would take her life, even if it was a mercy killing. At the end of the day I would've been happy with her bald! But as it was Brian Blessed who did the heinous chore, I couldn't really be mad about it. After all, if you're going to be killed by someone then Brian Blessed is a brilliant choice. Eventually it was revealed that Peri's death was faked and she'd actually married good King Brian Blessed. Again, I thought "well if it's not me, I'd want it to be Brian Blessed", that's just how awesome he is. So there you have it ladies and gentlemen, my dream. Brian Blessed as the Doctor. Do you think he'd have made a good one? Or do you have a 'dream Doctor' you'd love to have seen in the role? Let us know in the comments below. What if Andrew Scott was the Doctor? What if John Noble was the Doctor? What if David Jason was the Doctor? What if David Bowie was the Doctor? What if Patrick Moore was the Doctor? What if Patrick McGoohan was the Doctor?